Get started on the new site by logging in with your email address & demo id# as your password. Then use the tabs at the top to navigate around the new site. Ready to start pinning ideas you’ve found on the web? Grab the “SUDSOL Pins” button and drag it to the front of your bookmarks menu. That’s it! Now you are ready to use it to pin ideas!! 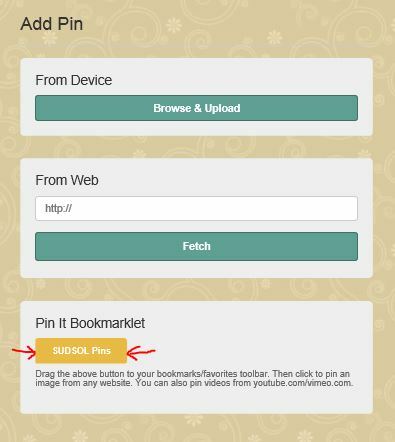 From any website, blog, YouTube, Vimeo, etc when you find something you want to pin and save, click the SUDSOL Pins in your bookmark bar. A page will show with all the images to choose from, select the one you want by clicking on it. 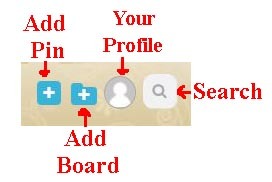 The image will show in the Pin format allowing you to add information, tags, and either select a Board for it, or create a new board. Want to create your own new board? Select that option, add a name, select a category and you are good to go! WOW!!! I couldn’t believe how easy it was to set up and pin ideas to my boards! Plus, it’s easy to find my boards when I want to refer to them. My upline dropped a few months after I signed up. She told me to sign up with SUDSOL. It is THE one best thing she ever did for me. From the sharing of a gazillion samples in the gallery to the online articles and information, membership to SUDSOL is worth its’ weight in gold. My only regret is that I didn’t know about the group from the very first day I signed up to be a demonstrator. I just wanted to say thanks for our great group. I know I can come to our group and get any question answered. SUDSOL is definitely my 24/7 up-line.